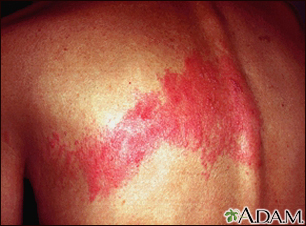 A classical pattern for shingles. The infection follows a nerve root from the spine, along a rib, to the front of the chest. The area innervated by the nerve is called a "dermatome".